Are there any good networking venues in London ? ← Back | Are there any good networking venues in London ? People often ask if London has any venue suitable for business networking. This is rather a strange question as London has some of the finest venues for this kind of thing. The Eight Members Club has two locations suited for networking events and skills workshops. The club in Moorgate (near the Moorgate underground station) is on Dysart street and can be a bit hard to find. The entrance looks like a deserted workshop but if you walk to the back you will see a glass panelled lift. Just push the "8" and you will go up the level where the club reception is. There is a conference room large enough to hold about 20 people sitting around a large table, or about 30 on small seats. The club in Bank has a hidden entrance in Change Alley and also has a bar and several meeting rooms. 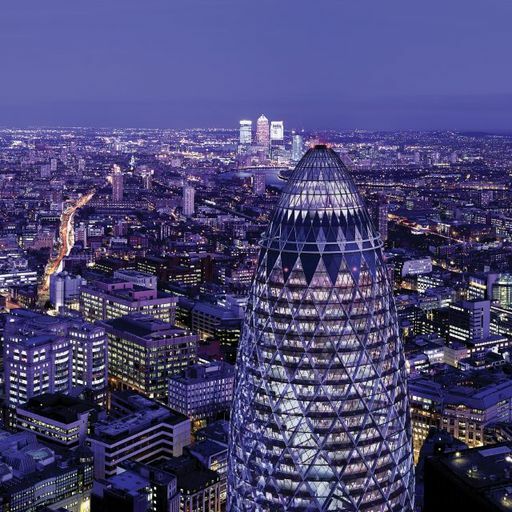 The Gherkin (so named because of its shape) has a superb Helix restaurant and Iris bar located right at the top. There are also conference rooms on the 38th floor with outstanding views over the city, these can also be used for weddings, business networking and other social occasions.